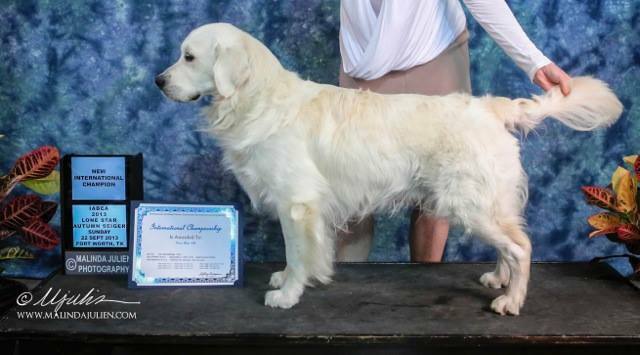 Goose is a F1 Champion Sired English Cream GoldenDoodle that carries parti factor genetics. He is able to produce solids and parti color puppies. He is a big happy dog that has a great personality. If he were a person you would say he was the life of the party all the time.